Much improved this morning, still limping, not putting much weight on that right back leg, but her appetite is back (no surprise there) and she is much perkier. Still on doggy bedrest and I think she’s loving every minute. We’re just happy she’s feeling better. 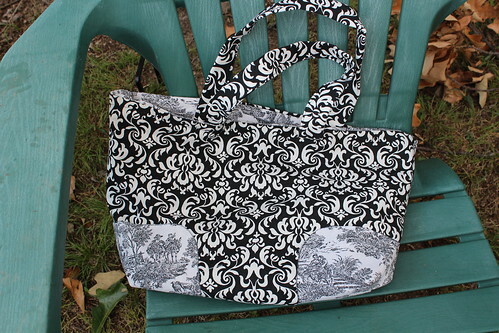 My first ever sewing project working from a real, live pattern, McCall’s 4400. Working from a real pattern was very intimidating. It seemed to be written in a different language, with symbols, arrows, lines, dotted lines and I almost got scared off, but I reminded myself how knitting was the same way at first and how comfortable I am with it now. I’m very proud of my first sewing FO. 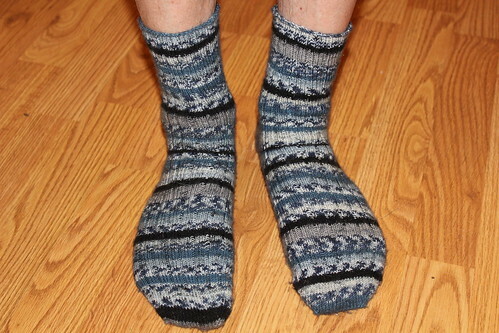 Mr. Iknead’s Wise Hilda Basic Ribbed Socks, which he was kind enough to model for a photo. This is more of Premier Yarns Wool Free Sock, the color is Vegas Lights. People are going to see me from a long way away with these. 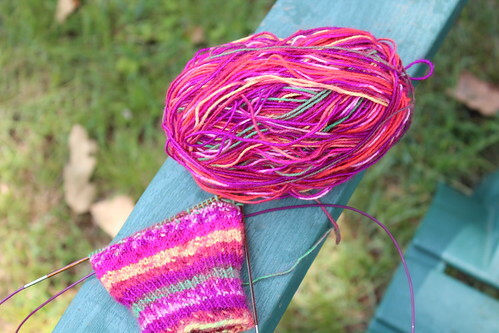 I love the colors – sort of like a party on my needles! Just between friends, I was getting really tired of blue/gray/black. 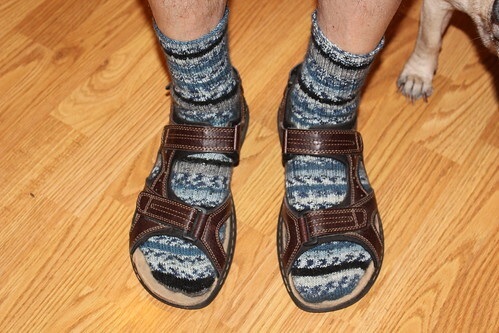 No offense Wise Hilda’s socks, I just needed a change. I’m linking up with Frontier Dreams KCCO today. Check it out.